HomePolicyIt’s A Bird, It’s A Plane… It’s Super Entrepreneur! It’s A Bird, It’s A Plane… It’s Super Entrepreneur! When writing about economic growth, my usual approach is to point out that more output is a function of increases in the quantity and quality of labor capital. This is a helpful way of thinking about growth since it becomes easier to understand why certain policies are bad (such as redistribution programs that discourage labor supply) and other policies are good (reducing double taxation to encourage more saving and investment). But labor and capital are only part of the story. 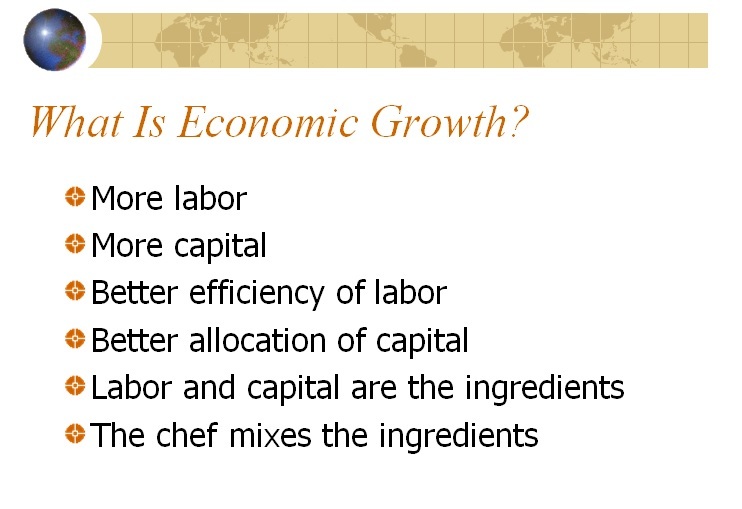 Those two “factors of production” are the ingredients for growth, but who decides how those ingredients are combined? This is why entrepreneurs are so important. They are the innovators who often figure out better and smarter ways of mixing labor and capital, leading to the “creative destruction” that characterizes dynamic and prosperous economies. Entrepreneurs make mistakes all the time, of course, but there’s a feedback mechanism in a private economy called profit and loss. And that rewards good choices and penalizes bad choices. 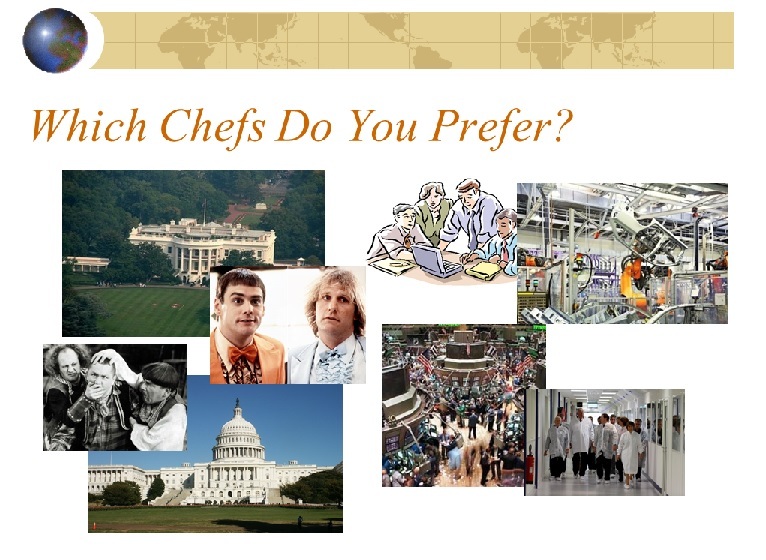 By contrast, when politicians play “chef,” you get cronyism, inefficiency, and corruption. To understand the critical role of entrepreneurship, I strongly recommend a great two-part series, authored by two Swedish brothers, Tino Sanandaji and Nima Sanandaji, published by Cayman Financial Review. In Part I, published in January, they share some good news about the state of entrepreneurship in America compared to Europe. Entrepreneurship matters. And the rate of entrepreneurship differs across the Atlantic. Of the 100 largest public companies in the U.S., 31 were founded by an entrepreneur during the post-war era. In Europe, the corresponding figure is only seven out of the 100 largest firms. While these new firms in the U.S. created over four million jobs, those in Europe created about a million. A slightly different measure is the 500 largest global firms listed by the Financial Times. Amongst the U.S. firms on the list 29 percent were formed after 1950. This compares with merely eight percent in Europe. But they make a valuable observation that entrepreneurship and self-employment are not necessarily the same thing. In fact, the U.S. has a lower rate of self-employment than most other industrialized countries. Self-employment is the highest in Greece, Turkey, Spain, Portugal and Italy, countries with low rates of innovative entrepreneurship. Within the U.S., the self-employment rate in Silicon Valley is half that of the average of California. 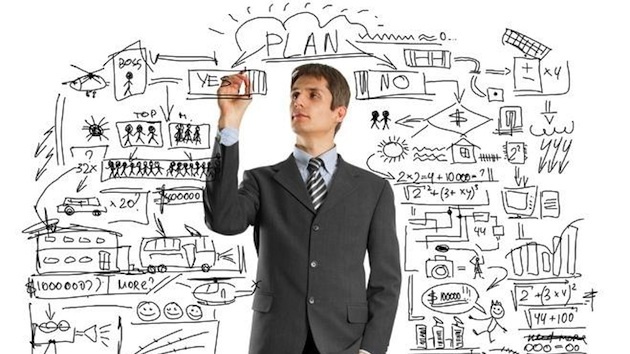 Clearly, the concept of entrepreneurship is very much different from that of self-employment. …When asked directly, four out of five business owners would not even define themselves as entrepreneurs. And approximately nine out of ten of the self-employed report that their firm does not engage in any innovative activity. So while a percentage of self-employed are true or potential entrepreneurs, not all of them are. …we have worked on constructing a measure of high-impact entrepreneurship. The basis of our analysis is the comprehensive work that Forbes Magazine annually does when compiling the list ‘The World’s Billionaires’. We build upon Forbes’ work by distinguishing the individuals who have amassed a billion dollar fortune through entrepreneurship. The richest individuals in capitalist market economies to a surprisingly large extent appear to earn their wealth by creating new value, rather than inheriting it or acquiring it illegitimately. …the difference between both sides of the Atlantic is significant. In Western Europe 42 percent of the billionaires are self-made entrepreneurs, with most of the rest having inherited their wealth. In the U.S., 70 percent of billionaires are self-made entrepreneurs. In countries such as China that have only recently opened to capitalism, virtually all billionaires are self-made entrepreneurs. This indicates that the American Dream – the notion that it is possible for individuals to rise to the top through effort, luck and genius – is still alive. Self-made billionaire entrepreneurs have created millions of jobs, billions of dollars in private wealth and probably trillions of dollars of value for society. And that value varies by region. The number of SuperEntrepreneurs varies significantly across countries. Hong Kong has the most, with around three SuperEntrepreneurs per million inhabitants. The second highest rate of entrepreneurship is found in Israel, where there are close to two SuperEntrepeneurs per million inhabitants, followed by the U.S., Switzerland and Singapore. …When comparing large regions, the gap in super-entrepreneurship can be clearly seen. The U.S. is roughly four times as entrepreneurial as Western Europe and three times as entrepreneurial as Japan. 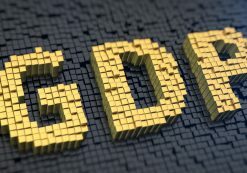 The same relations hold regardless of whether we look at our measure of SuperEntrepreneurs, large firm founders or venture capital investment as a percentage of GDP. But why does SuperEntrepreneuship vary by regions? In Part I, the Sanandajis note that there seems to be more success in the Anglosphere (i.e., nations that got their legal system from England). In Part II, published in April, they dig deeper and identify the policies that make a difference. They start with property rights. One institution that has a direct and positive link to entrepreneurship is the protection of private property. …Property rights matter because individuals will rarely invest the massive amounts of time and money needed to creating an entrepreneurial company if there is an imminent risk that their firm will be taken from them in the event it becomes valuable. In economies with weak protection of property rights and corrupt states, firms tend to stay small and informal. This of course inhibits high growth entrepreneurship. …In our study, we find a clear link between property rights – as measured by the International Property Rights Index – and the level of SuperEntrepreneurship per capita around the world. The countries which have the strongest property rights tend to have more high-impact entrepreneurs. They also find taxes make a difference. Another key factor influencing the rate of high-impact entrepreneurship is taxes. …Taxes are therefore a necessary evil. The need to balance the need for revenue and the damaging impact of taxes on the economy is perhaps the biggest challenge of modern welfare states. …Entrepreneurial success is a fabulous prize that motivates many to try, for a few to succeed. If taxes diminish the value of this prize, fewer individuals will make the effort and take the risk to win. … If taxes eat away a sizable part of the return from the rare cases of great success, the calculus between these choices is changed. 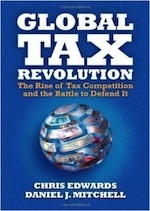 …high taxes can make a previously profitable investment unprofitable. …Research has consistently shown that business owners reduce their output more in reaction to taxes than workers; they are, in the terminology of economists, more responsive. This is likely due to a combination of entrepreneurs having more control over their reported income, more control over effort and being more responsive to economic incentives. …In our study, we indeed do find a clear relation between taxes on profit and the share of high-impact entrepreneurs in our list. The nations that have the highest tax rates tend to be the same that have the lowest rates of entrepreneurship. And they explain that regulatory burdens also are important. The third institutional factor that is strongly linked to the rate of SuperEntrepreneurship is regulation. …Each individual regulation may seem reasonable in out of itself… Taken together however, these well-meaning regulations can grow exponentially and inhibit business startup. This is especially true as startups do not have the resources to hire full time employees to deal with regulations like large firms. Regulations can also inhibit the rate of growth, take energy from the entrepreneur that could instead be used to develop the venture and can also force the firm to make poor business decisions in order to comply with some rule or regulation. …in many countries regulations arise not in order to ensure desirable social outcomes, but in order to facilitate government control and even corruption….we rely in our work on the World Bank “ease of doing business” index… We find that countries with a heavy regulatory burden have fewer entrepreneurs per capita. The findings are replicated when using an alternate regulatory index for the OECD countries. Even when controlling for tax rates and per capita income, more regulation is associated with fewer SuperEntrepreneurs. I’m only skimming the surface on what’s included in the two articles. But here’s the bottom line, as illustrated by this table from Part II. And their conclusion emphasizes why it’s important to have genuine free markets so highly productive people seek success by serving the needs and wants of consumers. In a cronyist economy, by contrast, people seek “success” through government favoritism. Another aim is to distinguish between crony capitalists and constructive entrepreneurs. Our preliminary analysis shows that countries with free market policies are dominated by individuals who become rich by creating even greater value for society at large. Countries with high levels of state involvement and weak market institutions on the other hand encourage individuals to gain wealth atthe expense of others. In all systems, individuals are motivated by wealth. Now let’s close by looking at the issue from a more US-centric perspective. Liya Palagashvili of George Mason University writes in U.S. News and World Report that entrepreneurship seems to be waning in the United States. And government deserves the blame. What exactly are the factors leading to the decline in business activity in the United States? And what can be done to revive the American entrepreneurial environment? Economists identify the costs imposed on entrepreneurs by the regulatory environment as one of the most important influences on business dynamism. Where regulations make it difficult to start and operate businesses, entrepreneurs have a difficult time bringing new ideas and innovations to fruition. Promising entrepreneurs who face burdensome regulations might opt out of doing business or decide to take their ideas to countries with more favorable business climates. Burdensome regulations such as credit and labor-market regulations, business taxes and start-up costs – like the number of procedures, payments and minimum capital requirements to start a business – all influence individuals’ decisions to engage in entrepreneurial activity. Is it costly to start a business? Am I even allowed to start a business? Will my business entail high labor costs? Can I easily fire bad or redundant workers? Unfortunately, while government deserves the blame, the rest of us will bear the costs. These trends pose a long-term problem. If a favorable entrepreneurial environment is eroding, what will become of economic prosperity for future Americans? …People living in the United States and much of the developed world today experience significantly higher standards of living because entrepreneurs continuously introduce and improve market products – not only items such as personal computers and cell phones, but new medicines, better clothing and other technologies that improve ordinary people’s daily lives. New technological improvements are sparked when entrepreneurs are able to reap the benefits of their innovations, and business entry is high when start-up costs are low. So we have yet another piece of evidence showing the superiority of free markets and small government. P.S. At the start of the month, I defended religious liberty laws based on the libertarian principle of freedom of association. Simply stated, the government shouldn’t have the power to force you to do business with people you don’t like, even if you have repugnant motivations. Well, that principle is a two-way street. Check out these excerpts from a recent news report out of Colorado. I’m glad the Colorado Civil Rights Division ruled in favor of the bakery, though its legal reasoning is laughable. The bakery unambiguously discriminated. But it’s not the role of government to force people to like each other or do business with each other, whether the issue involves some Christians preferring not to do business with some gays or some gays (or gay sympathizers) preferring not to do business with some Christians. P.P.S. Here’s another update on a previous column. I wrote last year about how some gun control laws were imposed by racist state governments that wanted to disarm oppressed black Americans. Well, fortunately those bad laws weren’t always successful. Here’s a blurb from a recent book that Tyler Cowen posted at Marginal Revolution. …although nonviolence was crucial to the gains made by the freedom struggle of the 1950s and 1960s, those gains could not have been achieved without the complementary and still underappreciated practice of armed self-defense. The claim that armed self-defense was a necessary aspect of the civil rights movement is still controversial. However, wielding weapons, especially firearms, let both participants in nonviolent struggle and their sympathizers protect themselves and others under terrorist attack for their civil rights activities. This willingness to use deadly force ensured the survival not only of countless brave men and women but also of the freedom struggle itself. Another reason why Glenn Reynolds (a.k.a., Instapundit) is correct to call the 2nd Amendment a civil rights issue. Or a human rights issue, as powerfully illustrated by Jews for the Preservation of Firearms Ownership.